Explore a rich and varied selection of hundreds of videos from both new shows and from the PBS archives. Find these top shows and more: Masterpiece shows including Poldark, Downton Abbey, Mr. Selfridge, Wolf Hall and more. 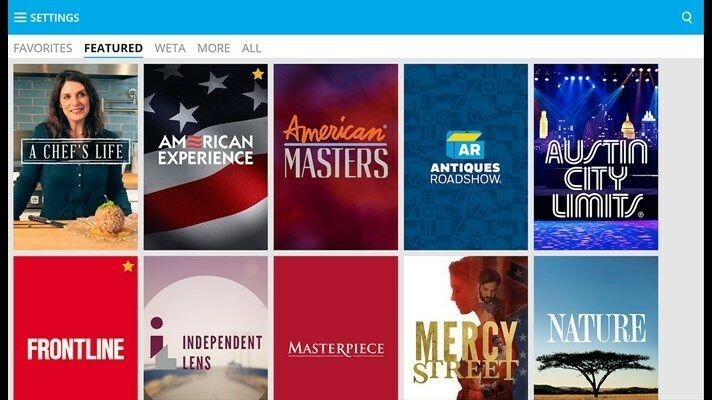 Other PBS primetime shows: Mercy Street, Antiques Roadshow, Frontline, Independent Lens, POV, History Detectives, Nature, Need to Know, Nova, Secrets of the Dead, and more. Austin City Limits song performances. Please note the PBS Video app is just for Windows 10 PCs and tablets for now; there’s no word if there will be a version for Windows 10 Mobile as well.